Biomedical engineer David Meaney uses mouse models to study the pathophysiology and behavior deficits caused by traumatic brain injury. At lab meetings, his students love to joke about their multitasking prowess—they can crunch data while chatting with him or even when sleeping. Their trick is software the University of Pennsylvania team wrote to analyze videos of mouse behavior 24/7. Not only does the program spare them from tedious hours of watching mice snooze or sniff, it also provides more-reliable results by eliminating variation in how different scientists score behaviors. Yet classic experiments to assess behavior have problems. Scientists would typically lift a mouse by its tail to transfer the animal from its home cage and place it in a maze or other apparatus. Then, they’d hover nearby as the mouse attempted some task, be it remembering the place where it got an unpleasant foot shock or finding a safe harbor in a pool. Researchers have realized for some time now that mice don’t behave normally under such stressful conditions. (See “Mouse Traps,” The Scientist, November 2014.) 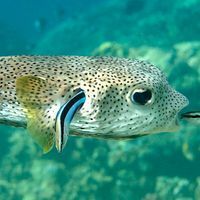 Plus, different researchers often get different data, due to the way they act around the animals, their particular smells, or how they score the results. These problems led Wolfer, Meaney, and others to hand the task off to computer software and automated cages that manage the experiments with minimal human interference, often in the same spaces where the animals live. Automated systems have been used to analyze mouse models of conditions ranging from Alzheimer’s to autism. Although they’ve been available for a decade, the systems have been slow to catch on widely. For publications, reviewers may still ask for evidence from the classic tests they’re used to, warns Wolfer, but he thinks that with more time, the automatic tests will gain acceptance. Here, The Scientist profiles four options that run or analyze rodent behavior experiments for you. CANDID CAMERA: HomeCageScan analyzes a side-view of a mouse in its home cage to identify detailed behaviors.COURTESY OF CLEVERSYS, INC.What do mice and rats do all day? HomeCageScan, from Virginia-based CleverSys, can tell you, in great detail. The system uses a simple video feed, aimed at a caged animal from the side, and identifies nearly two dozen different behaviors, such as jumping, chewing, and urinating. Plus, it categorizes three kinds of grooming—whether a mouse is washing its face, head, or body. The software works with a typical cage set-up, and comes with wall panels that produce white light, to ensure the camera can see the mouse all day. At night—when mice are more active—it uses infrared light and imaging. A version of the cage can hook up to individual ventilation lines required by most animal-care facilities, making it possible to run experiments in the same location where the animals are housed, says company president Yiqing Liang. Because the camera records from a side view, you can’t tell much about how the animal travels around its cage. Another CleverSys product called GroupHousedScan combines a top view with the side view, and can track two mice at once, plus their social interactions, Liang says. THE VIEW FROM ABOVE: Using the PhenoTyper’s top-view camera, researchers can track a mouse’s every move. 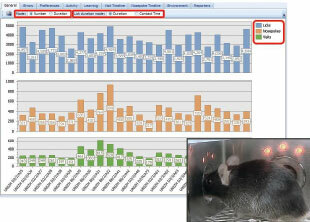 The EthoVision software can also identify behaviors such as sniffing and grooming.COURTESY OF NOLDUS INFORMATION TECHNOLOGYThe PhenoTyper cage, from Noldus Information Technology, can house 1–4 mice and record their performances in experiments. The cage has four customizable walls, plus an infrared video camera in the lid to monitor mouse actions in real time. 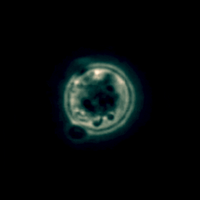 Before or while monitoring behavior, the addition of food, water, and a shelter translucent to infrared light can transform the enclosure into a home cage. The lid also contains lights and a buzzer to use as signals to the mice. There are several add-on options. For example, the lickometer measures changes in electrical capacitance every time a mouse uses the water bottle. A feeding monitor notes when a mouse interrupts an infrared beam in front of the snacks. Researchers can track how often a mouse uses a running wheel, too. The CognitionWall contains a treat dispenser, accessible by three doorways. 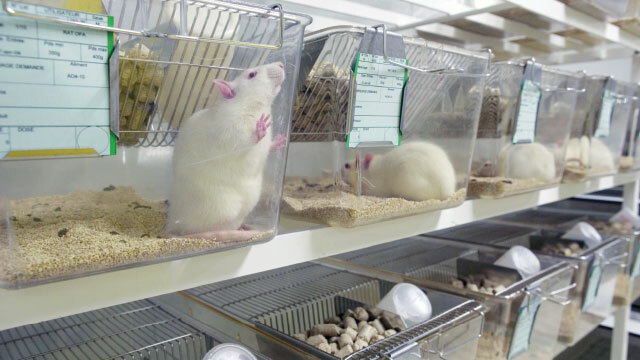 In one type of behavior experiment, scientists can set up the cage so only one of the three doorways results in a reward, then test how long it takes mice to learn the right door. 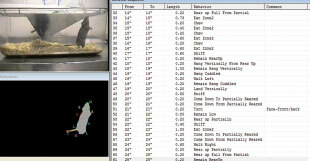 COST $8,000 for one cage with the basic EthoVision software platform that tracks and analyzes behavior. Additional software modules—for example, to track multiple animals or synchronize with additional hardware—cost $1,900–$4,500. The lid can accommodate a cannula to administer drugs, or a fiber optic wire for optogenetic stimulation of the mice during an experiment. For example, the computer can deliver a light pulse every time an animal goes to a certain spot, or approaches another mouse. The EthoVision software is easy to learn and use, says Lex Kravitz, a neuroscientist at the National Institutes of Health in Bethesda. He’s used it to track mice nonstop for up to 30 days in his studies of obesity. It’s also straightforward to integrate the PhenoTyper with other equipment, such as an implanted EEG probe, so you can sync the data between the two later on, Kravitz says. The top-view video won’t show certain behaviors in as much detail as HomeCageScan, but it is possible to add a side-view camera as well. In order to use the video feature that tracks locomotion of a specific mouse, you can only have one animal per cage. Alternatively, Noldus Information Technology sells a color camera ($1,200) so researchers can color-tag the different animals, says Abbe Macbeth, regional sales manager for the company in Leesburg, Virginia. The video software has trouble dealing with light-haired mice, particularly on gridded floors. Again, a color camera will help. ACTIVITY DETECTED: Tracking multiple individual animals at once, the IntelliCage records how often they lick a water bottle, poke their noses through a hole, or visit a specific location.COURTESY OF TSE SYSTEMSMice are social animals, points out Harm Knot, chief technology officer for TSE Systems in Bad Homburg, Germany, so how can scientists expect them to act normally when performing on their own? For example, the main differences in behavior of autistic individuals, be they mouse models or people, occur when around others. 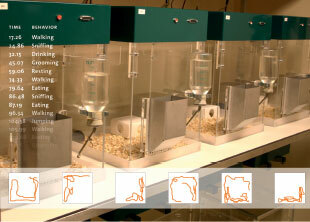 TSE’s IntelliCage is an environment that monitors experiments on up to 16 mice per cage. A more complex set-up called PhenoWorld can house even more animals, temporarily sequestering certain mice to check their metabolism or behaviors. One can analyze the spontaneous behavior of mice inhabiting the cage or during experiments. To facilitate those studies, each corner of an IntelliCage contains several features for the mice to interact with. By poking their noses into certain spots, they can gain access to drink, monitored by a lickometer. They might see LEDs in different colors as signals, or get a puff of air in the face as negative reinforcement. 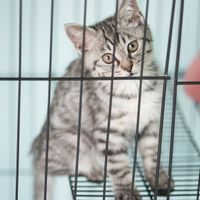 Instead of video, the data are output as charts of various actions—the time and number of licks of a bottle or nose pokes in a certain location, for example, or visits to an area of the cage. The cage can track these data because each mouse has an implanted radio-frequency identification chip (RFID), like the ones used to identify lost pets, and each corner of the cage has a chip reader. That way, different mice can undergo different tests or conditions. For example, some might be able to access a drug-laced water bottle, while control mice get only plain water. One test scientists can do with the IntelliCage, Knot says, is an index of memory similar to the Morris water maze, in which mice learn and recall the location of a safe platform. Scientists train mice to know that they will only receive liquid refreshment in corner #1, then change the beverage station to corner #2 for a time. When they change the station back to corner #1, does the mouse recall that’s a good place to try, or does it wander to the other corners just as often in its search for drink? COST $40,000 for one cage and software. The RFID chips are about $10 each. High throughput makes it possible to screen a population of mice for certain behaviors. Housing mice together results in lower stress for the animals, and thus improved animal welfare, says Wolfer. Scientists can use TSE’s new Intellimaze software to design a custom cage setup, and thus any type of experiment. That way, they can publish and share their protocols, making it easy for other scientists to validate novel designs, says Knot. Unlike the video-based systems, the main output is charts and lists, rather than detailed analyses of spontaneous behaviors such as grooming or jumping. However, video is included in PhenoWorld. 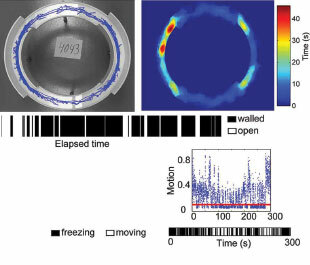 SAFE SPACES: By tracking the activity of a mouse in a maze, software developed by scientists at the University of Pennsylvania shows how much time the animal spends in open versus protected areas, and how much time it spends in a “frozen” posture.FRONTIERS IN BEHAVIORAL NEUROSCIENCE, 8:349, 2014David Meaney didn’t initially think he’d need a computerized tool to analyze the behaviors of mice in response to concussion. But he quickly realized that the 30 minutes to 2 hours it takes to assess a single mouse in a maze would add up. So he and his lab built software, using the computing language MATLAB, to do it for them. “[It’s] faster, even better than a manual technique,” says Meaney. Their open-access software—the researchers haven’t given it a name—uses top-down video data from a standard camera to score mouse behavior. The program tracks where the mouse is as well as the direction its head is pointing, which is important in certain tests to determine if the animal is looking at a novel object. The software can also tell when a mouse has adopted a standard, curled-up “freeze” posture, which the animal might do when anticipating a foot shock or other unpleasant stimulus. The authors have built in procedures to analyze data from several standard tests, such as a Y-maze or open-field test. Using the open-field procedure, one can also easily monitor a mouse’s normal behaviors. The program mostly works with one mouse, unless two are used in tests of social interactions. The software is available on Meaney’s university website. COST Free, but users will need a MATLAB license. An individual license costs $2,150 for companies, $500 for academics, and may be available via one’s institution. No special computer skills are needed to use the program; users simply start up MATLAB, type the file name, and work via a graphical interface. Those who are already familiar with MATLAB can customize the program to add new tests. 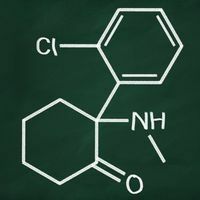 Even for noncoders, it’s fairly easy to modify a few parameters, such as experiment duration, says Arnold Gonzalez, a research specialist at Penn’s Neurobehavior Testing Core. The researchers developed the software using dark-colored mice on white backgrounds, so albino mice can be more difficult for the program to discern. For white mice, the Meaney lab still scores tests manually. O’Brien’s group at Penn is considering dyeing the animals or using dark-colored mazes to provide the necessary contrast. Because the view is top-down, it can’t fully distinguish certain behaviors, such as rearing. The software hasn’t been through commercial quality control, so there can be bugs, especially if users have different computers than the designers. Updates are relatively infrequent.